More threats are coming from Abubakar Shekau, the leader of Boko Haram, who once again threatened to attack President Muhammadu Buhari, military chiefs and other senior officials in a new video recently released by the terrorist group . The full transcript of the video reads: “This is a message from the group of Jamaatu Ahlil sunna liddawati wal jihad in West Africa of the Islamic caliphate to all the Jihadists of the world; especially to Abubakar Albagdadi. News has recently come to us through the media outlets, including those of the infidels. The news was that someone has been made leader or vicegerent of our movement in West Africa. But we are telling you that the appointed person has no qualifications to become our leader. We have listened and heard from them and their comment and how they tried to defame Ahlil Sunna wal jamaaa and we are further convinced that such a person cannot become our leader. And we cannot follow the one that is not of Ahlil Sunna wal jamaaa. Besides, our leader, Abubakar Shekau, has sent you an 8-point message detailing why the person you appointed cannot lead because he is one of those that are called irjai. You (Albagdadhi) has sent a message back to our leader asking for the meaning of Irjai which he explained to you and you have failed to get back to us till date. Apart from that in the message we sent to you, you’ve not been able to address all the questions asked and the issues raised till date. For that reason, we are telling you that we are together with our leader, Abubakar Shekau. There are other issues that we want to raise but not on this platform. We have not reneged on our professed loyalty in the leadership of Albagdadi. We are still with him. But we will not entertain any middle man to come between us and the Khalifa Albagdadhi until we meet face to face with the Khalifa or get a video or audio message from him, then we will reveal to him core secrets about those they are building their trust on. We are also warning you the infidels of the West African countries that in no distant time, you are going to be visited with a calamity from us that will marvel you all for a long time to come. We will shock the world very soon. Watch out for us. Especially, the Cheif of Army staff , General Buratai and the army spokesman, Kukasheka; we are going to show you our strength in Nigeria. The world should know that we are no longer out to fight Nigeria but our battle is of the entire world. And the battle has just begun. It is going to be a fresh battle for you soldiers of Nigeria. Die you all in your rage. To you, President Buhari, very soon you will see us inside your home the presidential palace. You will hear from us right in there by the will of God. Abuja will hear from us very soon. We will demolish infidel and bring down the green white green and replace it with our flag. Recall that last week the Islamic State (ISIS) militant group has named Abu Musab al-Barnawi as a new leader for terrorist group Boko Haram , however, Abubakar Shekau has treated a new appointment as deception . we feel the information President Buhari in danger! Boko Haram leader Shekau vow to Kill President Buhari, Burutai and SK usman in his new video that's all. hopefully the information President Buhari in danger! Boko Haram leader Shekau vow to Kill President Buhari, Burutai and SK usman in his new video that we have conveyed can provide benefits for you and all visitors of this blog, if any criticism and suggestions please comment. you just read President Buhari in danger! 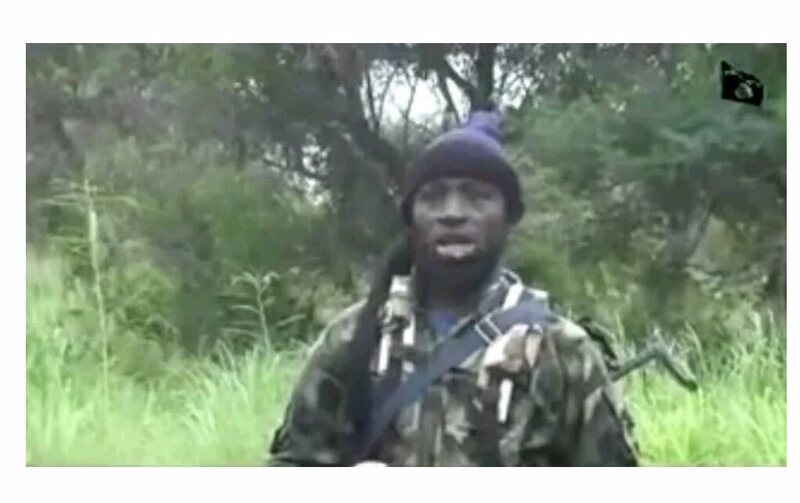 Boko Haram leader Shekau vow to Kill President Buhari, Burutai and SK usman in his new video if this article is considered useful and you want to bookmark and share it please use the link https://stephaniefulke.blogspot.com/2016/08/president-buhari-in-danger-boko-haram.html and what if you want other information look for another page in this blog.